Really good picture. Love Carcharoth, the light of the silmaril and the creepy statues. 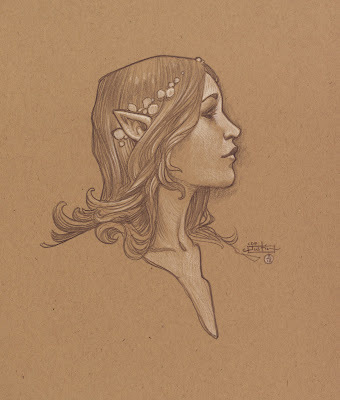 If I'd to nitpick anything, I just imagined Beren a little less muscled & elven ears a little less pointy. But that's of course only my personal taste, the picture itself is a 10/10. Hey Justin! sorry for my bad english! your job is amazing!! specially the tolkiens art, when you read all this books you can really imagine what is happening, and you put this on paper, is awesome!!! i found your work just now, but i will follow u for a long period i think hehe! beaultifull trace! can i ask u something? this work is a project , or are you doing by your own , like a fanart ? Hugs and take care! 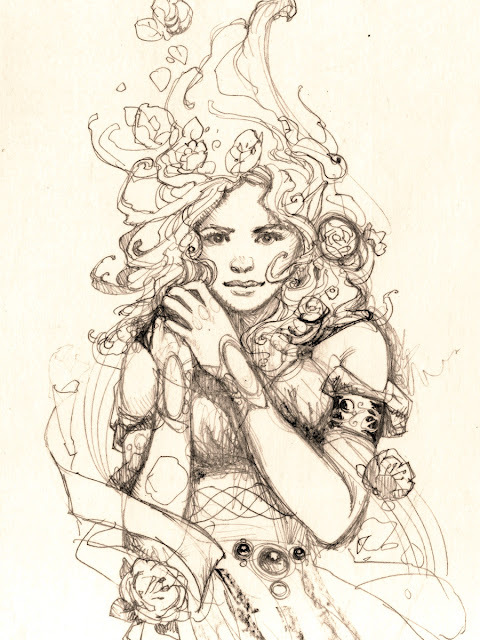 Your Silmarillion illustrations are absolutely beautiful! As is everything else here. Wonderful work! Brilliant!! I'm thrilled to see illustrations from this book. 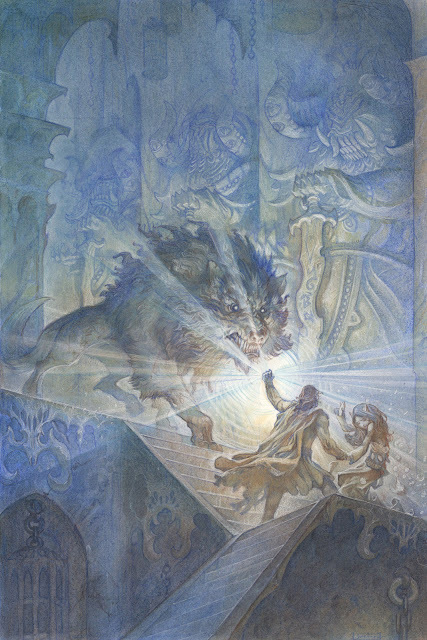 Tolkien wrote so many dramatic tales perfect for great illustrations. I would like to ask you a technical question ... to use them in colored pencils? caran dache? .... and then what kind of paper you are using ... cansons for pencils? I hope to post a few more of these when I can finally find the time to work on the digital pieces!